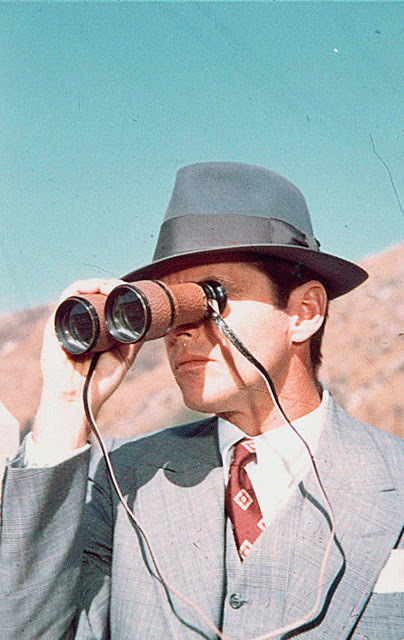 When not donning a more businesslike gray for his investigations in the city, J.J. Gittes shows a clear preference for earth tones. 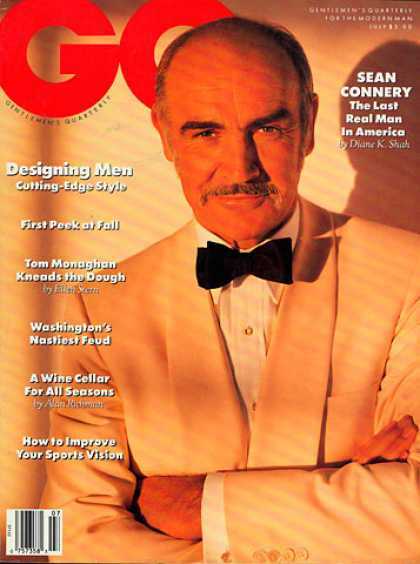 He is seen earlier wearing a cream suit around the office, and he sports a nice sandy brown three-piece when visiting the Mulwray home. 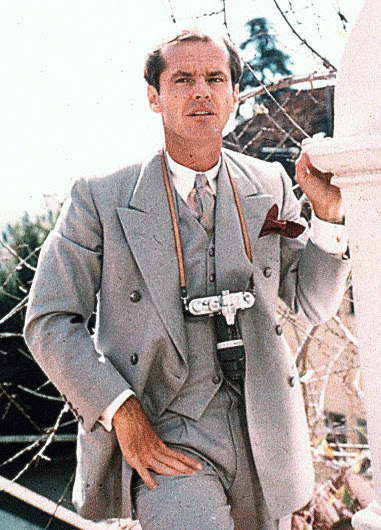 Many of the suits Jack Nicholson wears in Chinatown are intentionally loud and showy. 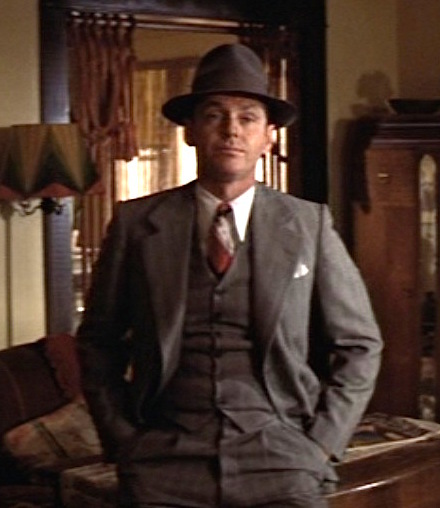 As an easygoing yin to the cynical Philip Marlowe’s yang, Gittes happily shows off the fruits of his labors with extravagant and noticeable suits in various earth tones and shades of cream. 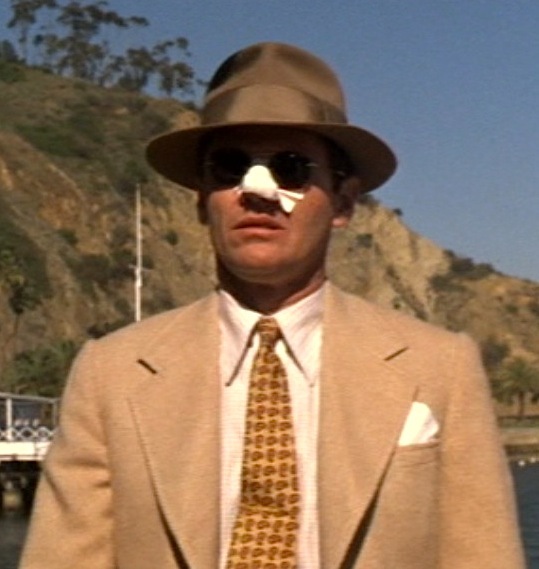 However, when it’s time to get down to business, Gittes knows the last thing he needs is to stand out during a stakeout. For this, he has an army of gray suits at his disposal. 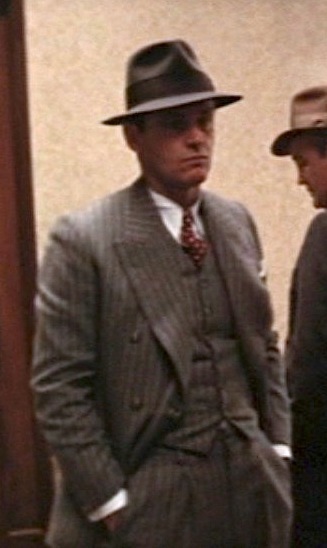 None of the suits are boring by any means, and they’re only conservative in relation to his other apparel. 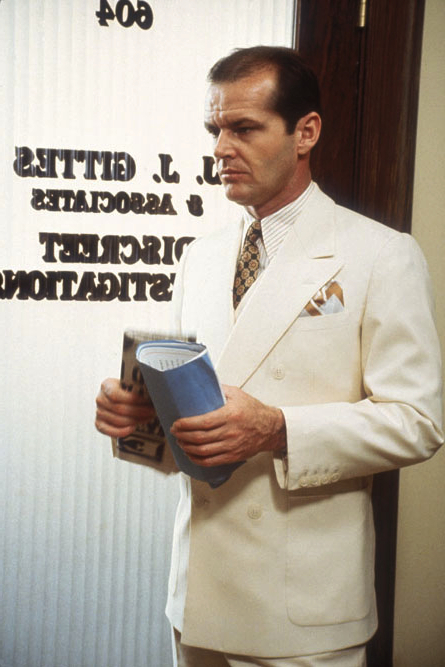 For client visits and “pubic relations”, Gittes is the flashy PI in brighty-colored suits and shirts.